Combine oil, vinegar and salts in a large Ziploc bag or baking dish. 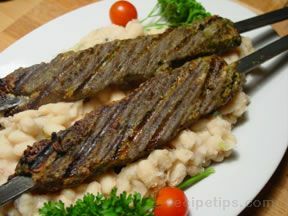 Marinate the lamb in the oil mix for 2-3 hours in the refrigerator. 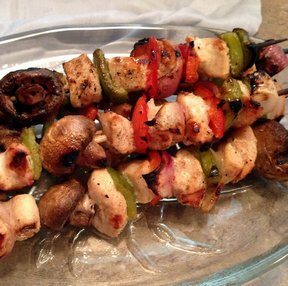 On skewers, alternate a lamb, tomato, green pepper, mushroom, and onion wedge. Grill or broil for approximately 15 minutes, turning a couple of times.